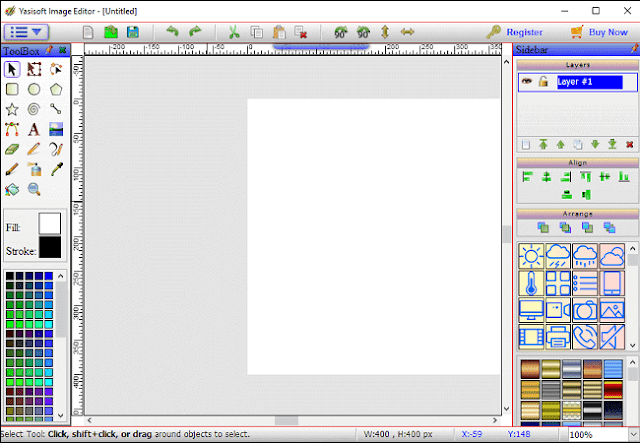 Yasisoft Image Editor is a colorful and a pretty simple to handle image editor basically designed to give graphical aspects to any picture. This photo editor alters the pic as per the requirements and fits it in the given place without changing the quality and appearance of the image. This distinctly interactive free of cost application that comes in a 25.35 MB setup file. In case after the trial period, you like the software then after that, need to purchase the same. The best part of this application is that it is compatible with all the versions of the Windows. Not only that it highly supports all the types of formats. This main highlights of the tool are - Advanced Text Tool, Layers, Drawing Shapes, Spray and Paint Brush.